Almost nine years ago, 15-month-old Charlotte was diagnosed with a malignant brain tumour, one third the size of her brain. Overnight, her parent’s world turned upside down. Here Beck, Charlotte’s mum shares her story. 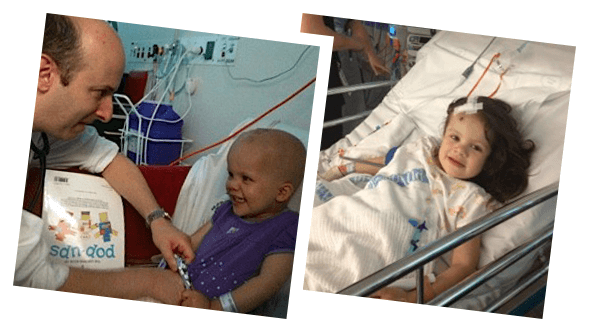 Almost nine years ago, my husband Rod and I were given the heart-breaking news that our beautiful little girl Charlotte – or Charlie Bel - had developed a malignant brain tumour, one third the size of her brain. She was only 15 months old. Our world turned upside down and our life became one of tests, surgeries, chemotherapy and transfusions; MRIs and ambulance trips. The Hospital became our second home. Your help means so much to kids like Charlie. Follow the link below and select Sydney Children's Hospital Foundation as your selected charity.